The 5.11 Tactical Bail Out Bag was designed for the Active Shooter Response Teams. The 5.11 Bail Out Bag features tough 1050D nylon body fabric construction that delivers extreme versatility. While staying close to the body, the Bail Out Bag provides users with easy access to all its compartments while still being compact enough to deploy from a vehicle. The Front Mag pockets hold up to 6 AR magazines with the side utility pocket designed with web platforms. 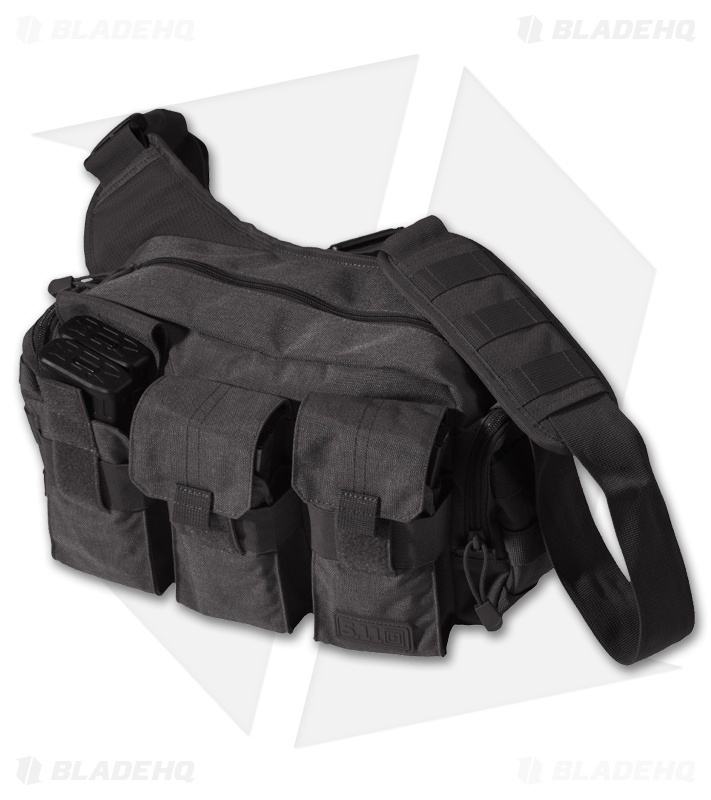 You can rest assured that the 5.11 Bail Out Bag will have all the room you need for easy deployment. The Bail Out Bag comes in two colors, Black and Flat Dark Earth.